From delicate fillets of sole sauced with butter and lemon to flavorful salmon paired with apple and fennel, the variety of fish dishes is nearly endless. And even with so many different ways to prepare it—sautéed on the stove top, braised in the oven, or grilled over an open fire—the fresh, clean taste and delicate texture of fish always shine through. Quick and easy to cook, fish is an excellent choice for any occasion. 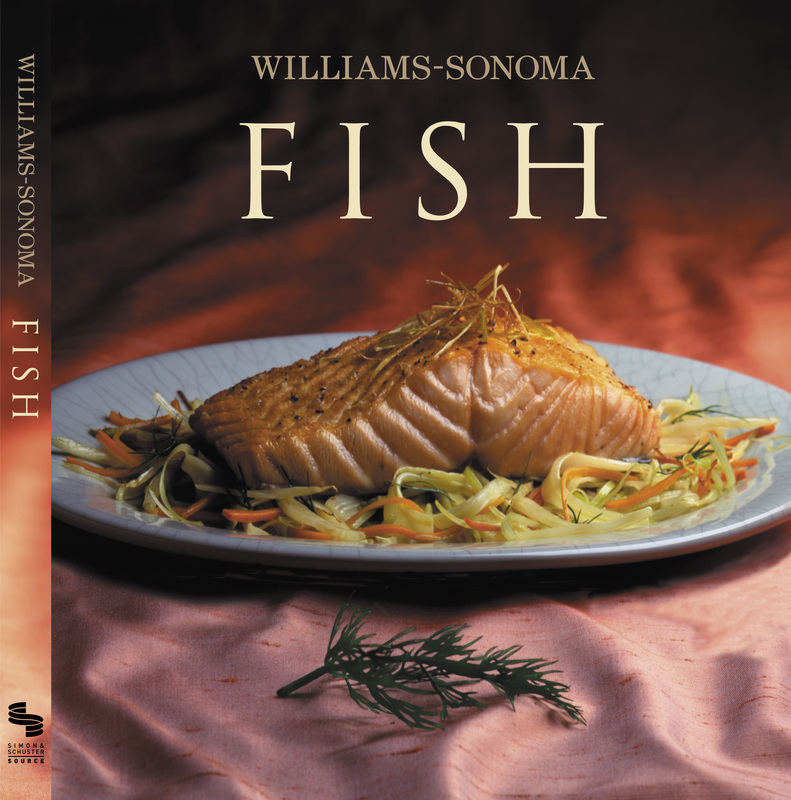 Williams-Sonoma Collection Fish offers more than 40 recipes, including classic fare as well as exciting new ideas. Inside, you'll find simple dishes for quick suppers, intriguing recipes for serving guests, and hearty main courses for satisfying meals. There's even a chapter devoted entirely to other seafood besides fish, including scallops, shrimp, and lobster, rounding out the delicious array of choices. Full-color photographs of each recipe make it easy to decide which to prepare, and each dish is accompanied by a photographic side note that highlights a key ingredient or cooking technique, making Fish much more than just a simple collection of recipes. An informative basics section and extensive glossary fill in everything you need to know to add delicious fish to your cooking repertoire. Lean, healthful, and quick to cook, fish plays an important role in the modern kitchen. Whether you are in the mood for salmon on the grill, traditional trout amandine, or a rustic bouillabaisse, there is always a distinctive and delicious way to prepare any type of fish. Williams-Sonoma Collection Fish offers more than 40 easy-to-follow recipes, including both familiar classics and tempting new ideas. In these pages, you'll find appealing fish dishes for any occasion—from a casual weeknight supper to a more formal affair. This beautifully photographed, full-color recipe collection will quickly become an essential addition to your kitchen bookshelf. Chuck Williams One of the most appealing ways to eat healthfully is to eat fish. Turn to any recipe in this cookbook, and enjoy.